A fifth ministerial aide has resigned over Iraq. 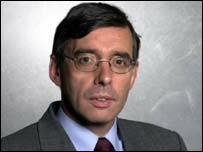 Stafford MP David Kidney, who was the Parliamentary Private Secretary (PPS) to the environment minister Michael Meacher, handed in his letter of resignation on Tuesday evening. Mr Kidney voted against the government because of his support for the United Nations process. "The motions that we've had twice before, when we've had votes, have always been that we support the United Nations route, " he told BBC Radio Stoke. "In my bones and my blood we should try where we can to go with the United Nations." Staffordshire Moorlands MP Charlotte Atkins, a Labour whip who voted with the government, said Mr Kidney had had to give up a job he was good at. "David Kidney knew exactly what the implications were of voting against the government. "Now he's had to give up a job that he's very much enjoyed and that he was very good at. "He came to his decision based on his perception of what the issues were." Mr Kidney's departure follows the resignation of another West Midlands MP Lord Hunt, of Kings Heath, who announced he was quitting his job on Tuesday. He said he had agonised over the Iraq policy for weeks. But International Development Secretary Clare Short has decided to stay in her cabinet post, despite her threats to quit if the UK joined military action without a second UN resolution.